⬅ What’s the Best Diet? As we head into April, I’m going to go out on a limb and say the vast majority of people have long given up on their New Year’s Resolutions. Why is this? We start the year off gung-ho with the best intentions, and can’t find a spot in the gym classes AT LEAST until Martin Luther King Day. Then rapidly people fall off and are right back into their old habits. 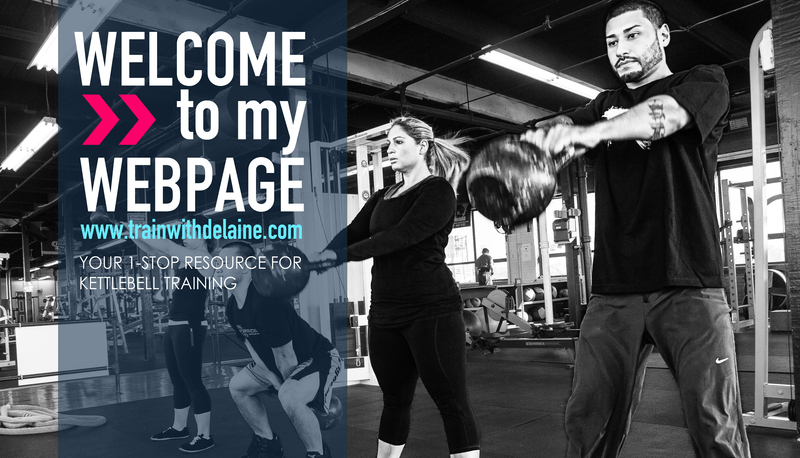 In addition to being an online kettlebell coach, I work for a non-profit that provides free fitness programming to people in drug and alcohol addiction recovery and work with many people who have relapsed multiple times. There are a couple of parallels I have drawn from drug and alcohol recovery relapses and abandoning resolutions early in the year. Consider this scenario. Larry has a resolution to “lose 10 pounds.” He decides to exercise 4 times a week and cut out sugary snacks but he doesn’t change his mindset. He adds a workout to his “to-do” list but doesn’t become the type of person who wakes up at 6AM to hit the gym and who doesn’t even consider that piece of birthday cake in the office break room. He bargains with himself instead of making these behaviors non-negotiable. “Well, just this one piece and I’ll run an extra two miles” or “I’ll hit snooze today but will add an extra one in Sunday.” We all know you can’t out-exercise a poor diet and these makeup sessions rarely happen. I’m not saying there aren’t times to splurge once you have a track record but starting out already making concessions is a recipe for giving up before he is two weeks in. Similarly, when I was trying to find ways to manage drinking, I would say ‘Ok, just two glasses of wine today” which always turned into far more. I would have it in my head that I would limit myself but I hadn’t changed my mindset to one of a non-drinker. It was only when I realized that me drinking in moderation was something that did not exist could I completely abstain and not have an issue being around it. A very good friend said, “How are you out and not drooling over the alcohol everyone is drinking?” Because I had changed my mindset. It was my new reality. I used the analogy that it would be cool to teleport but I couldn’t so I wasn’t going to sit around being upset about it just like me drinking in moderation isn’t a thing, and exists just as much as teleportation so why worry about that either? It just isn’t part of my reality. If I person has the mindset and belief that they are now a different person, the likelihood of them sticking with their resolutions is much higher. “I didn’t fail 1000 times trying to invent the lightbulb. I found 1000 ways to not make a light bulb.” -Thomas Edison. A big mistake people make is thinking that failure and success are opposites. This couldn’t be farther from the truth. People who are failing are trying. And learning. A baby doesn’t give up on learning how to walk after falling down a time or two. Ask a person in long time recovery who relapsed a few times before it stuck what she learned. Just like when a baby falls, he learns a little more and starts to course correct, an addict who relapses learns a little more about what works and doesn’t work for her recovery. Just like if we forgive ourselves when we slip up on resolutions and use it as a learning experience, we are more likely to make long-term changes. Progress isn’t linear. We try something. It doesn’t work. We course correct and go on about our way until we realize again that something isn’t working. Repeat. For pretty much everything in life. So LEARN from your slip-ups instead of using them as an excuse to give up completely. Dr. John Berardi wrote a great article on The Benefits of Indulging that you can check out and it focuses on the positives and what we can learn when we fall off the exercises and nutrition wagon. So when you go full force into a new habit and make a small slip-up (like missing a workout or having extra dessert), think of the big picture and what you can learn from it. Remember WHY you decided to make those changes, course correct and be right back on your healthy journey. Focus on your mindset and who you are becoming.